September, 2010 | StripedCow Technology Group, Inc.
Our website redesign might look finished, but there’s plenty of small issues that need to be addressed – here’s a list of the SEO tasks. Can a todo list become an article? A prototype is designed as a throw-away tool that might demonstrate an entire website layout or show a specific feature of a software program. The more you know before you start, the better your chance of success. StripedCow celebrates the big “one oh” and decides you’re never too young for a facelift. Here’s a few of the technical and design decisions that we made to bring our corporate website into the present. Designed and implemented a sophisticated content management and delivery service to allow multimedia files to be collected, converted to multiple formats, and distributed to mobile devices. Developed a sophisticated tracking system for insurance policies sold for new and used vehicles. Used custom PHP extensions to handle communication with a proprietary parts database and implemented a sophisticated security system to handle multiple users. Helped develop a streaming media player for Microsoft’s Xbox video game console to allow movies and music to be played over a wireless network. Developed as a “proof of concept”, the demonstration facilitated the raising of venture capital to fund further work. 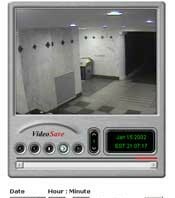 Revamped the VideoSave website, a site that allows video to be streamed from security cameras. The project used an Oracle database backend for security and was implemented using Java Server Pages. StripedCow helped develop a C++ based streaming audio player for LifeFX computer “avatars”, 3D graphic representations of a person. These avatars are streamed to web browsers along with audio and speech, using code that buffers incoming data in a way that handles lossy conditions found on the Internet. Created a series of “wizard-like” data entry tools that shows ROI on different product solutions. Heavily dynamic pages, using DHTML for user interactions and a Java applet to act as a persistent datastore. See the Phormion web site for examples. Developed a CGI program to convert written phrases to audio, then the compress the audio data into MP3 files. Designed to allow a child to import spoken phrases to a plush toy, the system delivered a file via USB to the client computer. The Optiant website was designed by Hull Creative and was implemented using Active Server Pages. Several technical challenges were handled to deploy corporate whitepapers. StripedCow coded an alternative input interface for an iPAQ PDA running Microsoft’s PocketPC Operating System. Using an Automated Speech Recognition (ASR) library, which provided discreet phrase input, and Text to Speech (TTS) for automated voice prompts, the software allows hands-free computer access in battlefield conditions. Updated the Park Management section of this award-winning site using a lightweight content management solution that was designed to increase SEO placement. Note that the current version of the site has been redesigned and is currently using a different CMS.